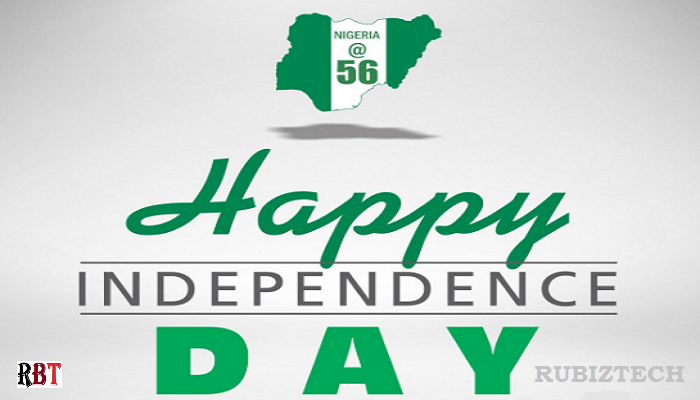 #NigeriaAt56 has been trending all day! If you are on twitter, Facebook, Instagram etc., you must have come across diverse opinions on Nigeria’s #HappyIndependence from Nigerians. Some hoping for a better Nigeria @ 56, Others weeping for Nigeria, and more having a feed day making funny quotes out of the day. Nigerians are cultured people and their knowledge is richly reflected in everything including humor. They are renowned for their sense of humor because they are not afraid to make fun out of everything. They define things beyond imagination and this evokes laughter any day. We have pulled together 20 funny things Nigerians are doing on the internet today as they celebrate Nigeria @ 56, some of these things can be really funny when reading while some will make you wonder why Nigerians laugh at everything. Nigerians can Boast of anything! Imagine someone boasting of a toothbrush he’s been using since 2003! Ki lo de! I need to talk to you” is one sentence that has the power to make you remember every bad thing you’ve ever done in your life. Why count your money in front of d ATM? Will u return if its incomplete or is there a button that says “incomplete..? My children, if NYSC posts you to a volatile state, reject it o. Even the bible says ‘Fear North’. A Bentley just bashed a Range Rover SUV in Lekki. The two owners came out, inspected the damage, exchanged business cards and left because it’s Nigeria @ 56. CONFUSION is when you go steal meat from the pot, and you forget whether the spoon was on top or inside the pot. E get some kain hunger wen go catch u ehn… U go begin see chewing gum as food. It is only Nigeria Police that will stop your car and do the work of VIO, LASTMA and Road Safety together. Why is it when u transport something by car, it’s called a shipment? But when u transport something by ship, it’s called cargo? My cousin said an airplane can land smoothly on BankyW’s head. Very soon ehn MTN will be like “Dear customer, are u hungry?, text “HGY to 33104″ for tips on what to eat”. You ask a girl for what she wants, she tells you ‘money’ and you are angry. What were you expecting her to say? wisdom and understanding?? SINCE1990 they’ve been telling us about leaders of tomorrow. Now, Nigeria @ 56, we still have fathers of yesterday in power. Bollywood has taught me that once you decide to start dancing on the street, everyone you meet will know the steps and join you. N5000 to paint nails?? How much them dey take paint room and parlor? Girls of nowadays don’t fear God at all. You’ll agree the economy is bad when thieves break in your house, sit down, make Eba, warm soup, eat and then steal your remaining Kerosene.